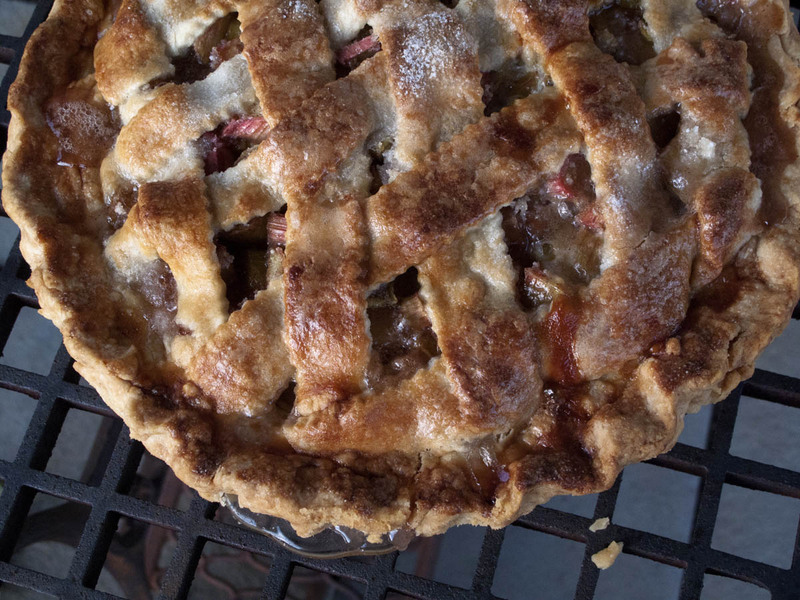 Now I Know Its Spring – Rhubarb Pie! Ramps herald it, but rhubarb really lets you know that spring has sprung. Here you see me with my first batch of the season. 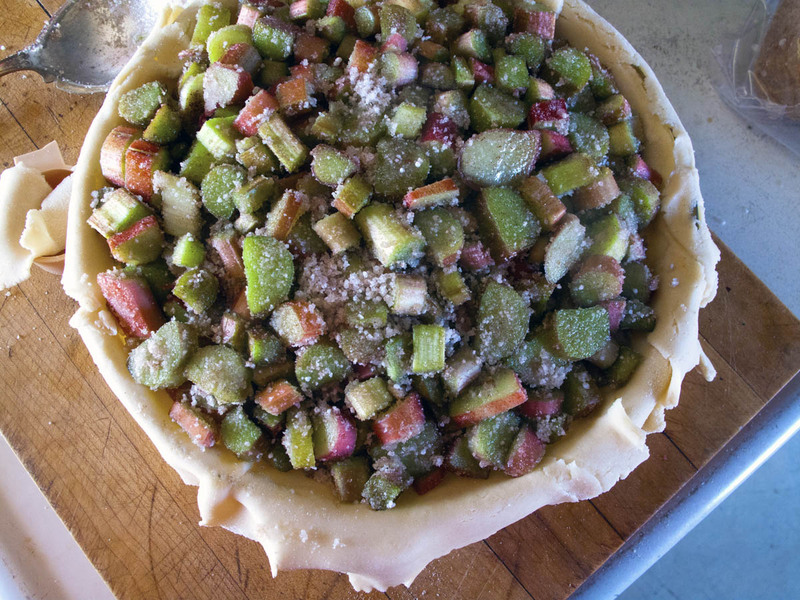 Although I have big plans for rhubarb chutney and strawberry-rhubarb jam, the first order of business is pie. 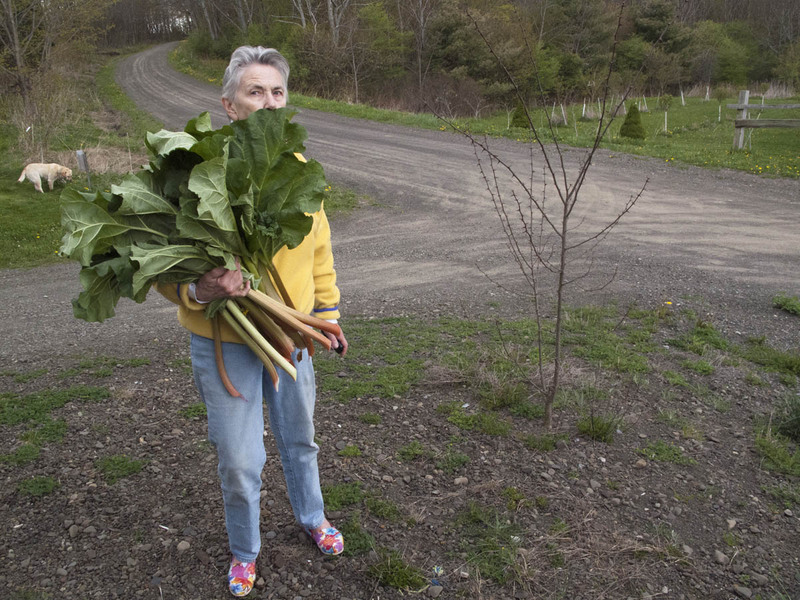 I had cut enough that we had rhubarb pie one night and strawberry-rhubarb cobbler the next. For the pie, check my post of February 28, 2011 for the pastry recipe. The filling is sliced rhubarb, a bit of grated fresh ginger, a sprinkling of ground cinnamon, a cup of sugar, and about ¼ cup of instant tapioca. My lattice-top was a little wonky as I was speeding to get out to enjoy the last bit of warm spring sun with my glass of rosé.